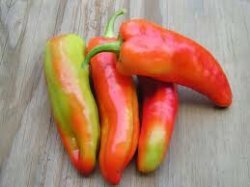 ACONCAGUA PEPPER (Capsicum annuum) is an heirloom from Argentina, named for the glorious mountain there. These peppers are HUGE and GORGEOUS and DELICIOUS -- a very sweet and fruity flavor. 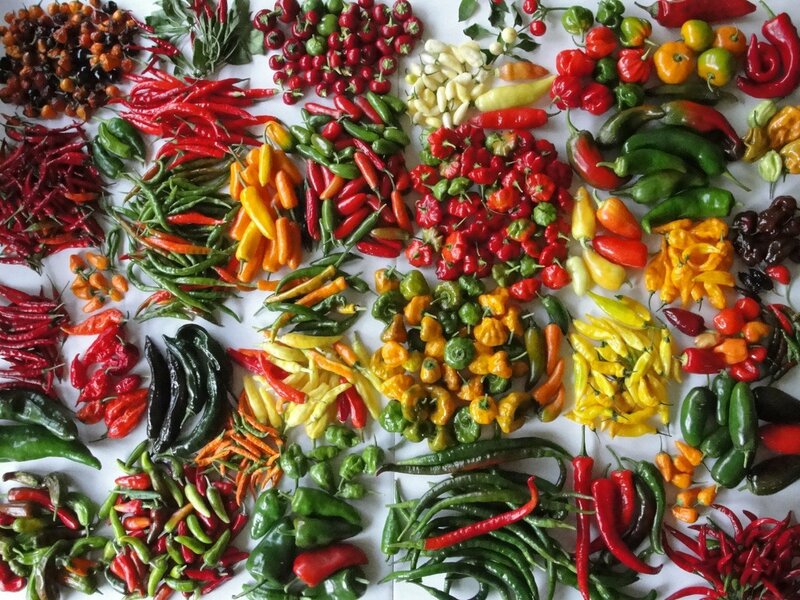 Each pepper can reach a FOOT in length and ripens from green to orange to red - an exquisite garden ornamental. Can be used at any stage, but most popularly grilled when fully ripe. A special treat accompanied by some good Argentinian Malbec.